But if you think God is necessary to understand the world, then why do you not ask the next question of where God came from? And if you say “God was always here,” why not say that the universe was always here? For hundreds of years, since the time of Kant, there has been an aggressive effort by scientists to prove and demonstrate that the universe is infinite. Part of the reason for that is that if the universe if infinite then they don’t have to acknowledge a creator. It may be a little hard to explain this but simply put, if there is an infinite series of events like there would have to be in the universe if it was infinitely old, it would be akin to trying to start this process to trying to jump off an infinitely high building into an infinitely bottomless pit. The point is that there would be no place for you to even think about jumping because any place you would jump would be a type of terminus, a type of beginning and then it would not be infinite. Any point of departure would be a beginning. So there are serious problems with there even being an infinite chain of events like that or the material order of the universe being infinite…It’s kind of like if you were in the process of an infinite chain of events, if you tried to move forward in those events, one step forward would flip you one step backwards into eternity and you would never make any progress. There can’t be an actual infinite like in the universe. These are very strong arguments against the universe being infinite and if scientists would have taken this into consideration they could have saved themselves a lot of trouble. It took them 150 years to finally come to the conclusion that there is no infinite universe, something philosophers could have told them for very good reasons a long time before that. Below is the article by Greg Koukl in its entirety. When science reasons it reasons inductively and it reasons basically the same way as we would reason about the resurrection of Jesus Christ. I saw the Daily Breeze “Parade” and on the cover of the magazine is a picture of Carl Sagan and Anne Druyan. Carl Sagan you know, of course, is of the “billions and billions” fame talking about the cosmos. He has written a new book with Druyan called Shadows of Forgotten Ancestors . When you turn the page there’s a picture of a chimpanzee. And the title of this excerpt is called “What Makes Us Different?” It’s really phenomenal reading through this piece and you will do yourself a favor in doing that. What’s phenomenal in one way is the timing of this because this relates very closely to things we talked about yesterday and have been talking about the last couple of weeks in a couple of different ways. Most obviously the questions that have been raised about the nature of the human soul over the last couple of weeks and also Dr. Moreland’s remarks yesterday as we talked about his book Immortality and the Existence of the Soul. And not only that, but some comments I made a couple of weeks ago on the problem of the death of humanness and the trend, the philosophical trend that is happening in this country that is dehumanizing man. In other words, when asked the question “What does is mean to be human?” the answer increasingly is that it means absolutely nothing at all. The profound significance of this particular article, and I guess of the book that this article is a portion of by Carl Sagan and Anne Druyan, is that they not only come to the same conclusion that there is no fundamental difference between men and animals qualitatively only quantitatively–and I’ll get into that in a moment–but that they are making these pronouncements with the white coat on, so to speak, as the high priests of the new religion which is scientism. He is making a fundamental statement of truth about the nature of humanity. If that truth is believed then it has radical ramifications for a great variety of different issues in our culture, all that have to do with the nature of humanness at its very core. I want to speak to this issue in a little more detail and talk about Carl Sagan’s presuppositions and his viewpoint about science. I can’t speak to the whole article, it’s too long, there’s a lot in there. I think those who have been listening to this show for any length of time have been gaining some tools I hope that will allow you to look at this article from a different light and to understand what is being said and why some of the things being alleged are not sound. I would invite you to get a hold of the article and peruse it. Carl Sagan then asks the question, “Why are we so different from animals? Or are we? Most of the philosophers,” and here’s the key paragraph for our discussion, “conventionally judged great thought that humans are fundamentally different from other animals because of an immaterial ‘something’ for which no scientific evidence has been produced, that resides somewhere in the body of humans and in no one else on earth. Only a few argue, as Charles Darwin did, that the differences between our species and others are only difference of degree.” He goes on then to argue that, in fact, the differences in our species are only differences in degree. Charles Darwin was right and the philosophers who speculated on some immaterial human force that resided in the body were wrong. But why does he say they’re wrong? He says they’re wrong because science has not produced any evidence that justifies a belief in the soul. There are two questions that I have to ask regarding that statement because it underlies the rest of the article and quite possibly the rest of the book. Sagan is trying to be rigidly scientific in his analysis and he’s saying if we come up with truth in science then we have to accept that truth because it’s the prevailing truth and, even if it has unpleasant implications for the areas of morals and ethics and human value and the like, we still have to face up to the truth. It assumes a couple of things. First of all, his comments and analysis assumes that science tells us true things. In other words, whatever science says is true. It corresponds to the world as it really is. And the second thing suggests that science is the only thing that gives us truth. Ergo his statement regarding the soul, this immaterial something, because scientific evidence has not been produced to demonstrate that. Let me take the first point. Does science tell us true things? Now many people presume that that’s the case. I am not suggesting that a person cannot come to a reasonable assessment of something being true by using science. But the implication is that science, because of the scientific method, somehow refines information to a point and focuses it such that we can look at that point and say that this is something that is true and will not change. You need to understand that there is a tremendous amount of debate within the area of philosophy of science, and it is philosophy of science that asks these kinds of questions, not science. Scientists don’t ask the question “What is science about and what can science do?” It is a second order discipline of philosophy of science that asks these questions. In the area of philosophy of science there’s a tremendous amount of debate as to whether science does tell us true things. As a matter of fact there’s a lot of debate as to whether science is one particular thing at all. Does the scientific method actually exist? And very trenchant arguments have been offered to demonstrate that the scientific method per se, or some particular methodology necessarily that identifies something as scientific, simply does not exist. Instead, what we have is a constellation of procedures and disciplines that when worked together and used inductively can help us to come to some reasonable understanding of truth. Those understandings may be wrong. They are not absolute. But they represent evidence that brings us to a reasonable conclusion. As a matter of fact, when you look at the history of science it is really a history of replacement of scientific views rather than confirmation. Just a cursory look at the history of science shows that to be true. It seems like it’s not unusual at all to pick up your paper and find that what scientists believed at one time they now believe something entirely different. So if we look at the history of science it doesn’t demonstrate that what science has always presented to us is absolutely true because what science believes is continually changing. That’s one point. I will make the point that when science reasons it reasons inductively and it reasons basically the same way as we would reason about the resurrection of Jesus Christ. It brings different pieces of information to bear on a particular point and if the information is valid then the point is valid. But it’s the same procedure that we use to discuss lots of different things and there’s nothing sacrosanct about the so-called “scientific method” in itself. So don’t fall for the illusion that there is something inerrant about the scientific method and scientific ability at arriving at truth because it is not inerrant at all and there’s a tremendous amount of debate in the area of philosophy of science as to what exactly science can accomplish for us. So for Carl Sagan, for example, to say with impunity that there must not be a soul because science has not demonstrated any proof for it and come to his other conclusions is a little bit overreaching his bounds in the terms of the limitations of science. The second point is this, not only is there some question that science always tells us true things, but the second question and implication of his statements is that science is the only thing that gives us truth. People have suggested that there is a soul, philosophers have talked about that. Our conversation yesterday was a philosophical one about the existence of the soul. But then Carl Sagan says that this is something for which no scientific evidence has been produced. The implication is that if there is no scientific evidence then it’s not something worthy of being believed. This makes a very powerful point. “You stimulated that memory, I didn’t.” Who’s the “I?” The “I” was the person inside there, the “I” is the soul. So there’s a distinction between a chemical response that produces a memory and a volitional response that produces a memory. So it is not entirely true that there is not scientific evidence for the existence of the soul because there is some. But there’s another point that’s actually quite a bit more important. That’s the fundamental point of whether science is the only road to truth. And there are actually three different ways to refute that. And it’s very straight forward. You can almost sum them up under one concept. The idea is that if science is the only way to truth then science itself is self-refuting because science is built on a series of truths that cannot be demonstrated by science but must be in place even for science to be valid. For example, is orderliness in the universe an illusion or is that real? Is the external world knowable at all? Are the intellect and the five senses reliable tools to examine the world? Are values like “be objective” or “report data honestly” appropriate in the scientific endeavor? Is nature basically uniform? Do numbers in truth exist? Do the laws of logic apply to reality? All of these things are non-scientific questions but they relate to the issue of truth that must necessarily be in place for science even to be practiced. So the point I’m making is that if you hold the belief that science is the only thing that is a measure of truth, then science is in hot water because science can’t justify itself. Science is not the sole arbiter of truth. Ethics is another source of truthful information. Philosophy is another source of truthful information. History…Do you know that even mathematics is not scientific? Math is used in science, it underlies science, but you cannot prove math scientifically. So the point is this, its an empty claim by Dr. Sagan that the soul can’t exist because no scientific evidence has been produced to support the idea that there is a soul. There can be other kinds of evidence that are not merely scientific yet be very valid. What’s really amazing, my friends, is that these things I’m telling you are not new. These are things that have been hashed out by great thinkers for a long time. These are very sound and powerful conclusions that philosophers of science have arrived at when discussing the nature of science. What is unfortunate is that this discussion has by and large been missed by the population and this allows people like Carl Sagan, who should know better, to make statements like he has in this article and book. It’s misleading about the nature of science but people believe it. This is one unfortunate thing about the treatment of scientific issues because people simply aren’t honest about the philosophic issues behind the science. I don’t know if Carl Sagan is trying to mislead here or he doesn’t accept the arguments in the philosophy of science or maybe he just doesn’t know them. Scientists characteristically are not specialists in trying to tell you what science is, they just do it. I’ll give you one example of what I was talking about with scientism and whether there are other sources of truth outside of science. For hundreds of years, since the time of Kant, there has been an aggressive effort by scientists to prove and demonstrate that the universe is infinite. Part of the reason for that is that if the universe if infinite then they don’t have to acknowledge a creator. This is a self-conscious enterprise, by the way. I’m not reading in motives that aren’t there. These people were aware of what they were doing so much so that at one point even Albert Einstein suggested a universal constant which was completely invented because what he’d been doing up to that time seemed to indicate without any doubt that the universe had a beginning. He introduced this thing that didn’t exist to change his equations to imply that the universe had no beginning at all and was infinite. He later said that that was the worst mistake of his career and abandoned it. Now we all know that the universe had a beginning and that’s what the whole Big Bang is about. I want to make the point that for a hundred years or so there was a strong effort to try to demonstrate that the universe was infinite. A point that Dr. Moreland made yesterday from a philosophic perspective is really helpful in dealing with this particular issue. There may be things like possible infinites. We think about the numbers that could be infinite. But whether there’s an actual infinite or not is another problem. Can we actually count an actual infinite amount of numbers? Or could there be an infinite amount of time in which matter existed? And Dr. Moreland argued yesterday that was not possible. It may be a little hard to explain this but simply put, if there is an infinite series of events like there would have to be in the universe if it was infinitely old, it would be akin to trying to start this process to trying to jump off an infinitely high building into an infinitely bottomless pit. The point is that there would be no place for you to even think about jumping because any place you would jump would be a type of terminus, a type of beginning and then it would not be infinite. Any point of departure would be a beginning. So there are serious problems with there even being an infinite chain of events like that or the material order of the universe being infinite. It’s kind of like if you were in the process of an infinite chain of events, if you tried to move forward in those events, one step forward would flip you one step backwards into eternity and you would never make any progress. There can’t be an actual infinite like in the universe. These are very strong arguments against the universe being infinite and if scientists would have taken this into consideration they could have saved themselves a lot of trouble. It took them 150 years to finally come to the conclusion that there is no infinite universe, something philosophers could have told them for very good reasons a long time before that. One other thought about Carl Sagan and the application he argues in this piece. It has to do with the difference between man and animals qualitatively. He suggests there is no difference and he makes an argument for animal rights. If man is just a highly developed animal and there is no substantial qualitative difference then animals should have the same rights as humans. Now this you might think would be good because it elevates animals to the level of human. But I want to tell you something, it does not work that way. The other way of saying it is that human have no more rights than animals. So this would not be the ascent of animal rights. It would be the descent and the destruction of human rights. There’s a very important reason why this is the case. It’s because one always needs to ask the question if one has the right to something else, where do these rights come from? A right is a just claim to something. To suggest that a person has a just claim to something he must make a reference to some standard of justice. Justice is an appeal to a higher authority of some sort. If animals and man are the same and there is just the physical world, it’s fruitless to appeal to any higher order of justice that transcends the physical world that then would give us rights. If we are just merely animals, then nothing would have any rights because there is no transcendent standard that anyone can appeal to in order to justify their right claims. Logic requires them to absolutely abandon the concept of rights. What’s ironic in this whole discussion is the analysis for man and what ends up happening here. Man become merely material. He becomes a determined individual caught in the flow of cause and effect. 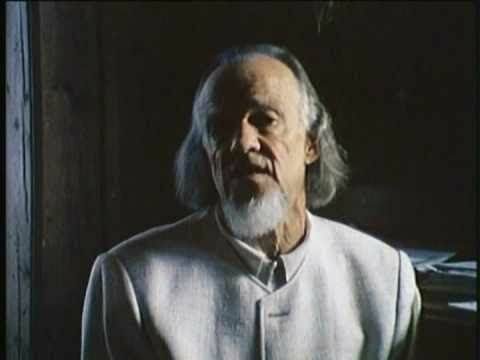 As Dr. Francis Schaeffer put it, man becomes “cosmic junk.” The modern analysis of man takes one of two extreme positions. Either man is god, which is the New Age way of looking at things, or man is an animal, he is cosmic junk. In other words, he is everything or he is nothing. The Christian message puts man rights in the middle. He has transcendent value but he is not God Himself. Evolution is dancing on the Titanic. The current evolution/creation controversy is based on two fundamental errors. First, the issue is cast as a conflict between the indisputable facts of science and the dogmatic faith of religious fundamentalists. Second, two entirely different definitions of science are used interchangeably, obscuring the true nature of the discussion. Douglas Futuyma opens Science on Trial, his compelling polemic against creationism, with these words: “Fifty-seven years after the Scopes trial, fundamentalist religion and evolutionary biology are again fiercely at odds, and science is still on trial.” Douglas Futuyma, Science on Trial: The Case for Evolution (Sunderland, MA: Sinauer Associates Inc., 1983), p. 4. Futuyma’s words echo the sentiments of the academic rank and file: Creationists are obscurantist flat-earthers whose commitment to superstition keeps them in darkness. The verdict of science is clear. Darwinian evolution is an indisputable fact. This characterization is simply false. Following the complete failure of the Origin of Life Conference in Berkeley in the late 80’s to produce a plausible scenario for how life itself chemically evolved, Dr. Robert Shapiro wrote a book entitled Origins: A Skeptic’s Guide to the Creation of Life on Earth. (“Creation” here refers to biochemical evolution.) Shapiro is an educated skeptic, an eminent chemist from New York University and an expert in his field. In his book he decimates the reigning ideas of how life could have evolved from non-life. Michael Denton wrote Evolution: A Theory in Crisis to show that the original scientific objections to evolution that faced Darwin–and were argued powerfully by his contemporaries–still apply after more than 100 years of scientific research and progress. You have no friends of religion here. These men are inside of the established scientific community, not outside of it. Yet each offers scientifically rigorous and compelling arguments against the idea that known natural processes are adequate to explain the biological complexity of our world. Michael Behe is a cellular biologist with impeccable credentials. In his book Darwin’s Black Box, he shows that the irreducible complexity of life can’t be explained by Darwinian gradualism. There are no detailed Darwinian accounts for the evolution of any fundamental biochemical or cellular system, only a variety of wishful speculations. It is remarkable that Darwinism is accepted as a satisfactory explanation for such a vast subject–evolution–with so little rigorous examination of how well its basic theses work in illuminating specific instances of biological adaptation or diversity. James Shapiro, “In the Details…What?,” National Review, September 19, 1996, pp. 62-65. No wonder paleontologists shied away from evolution for so long. It never seems to happen. Assiduous collecting up cliff faces yield zigzags, minor oscillations, and the very occasional slight accumulation of change–over millions of years, at a rate too slow to account for all the prodigious change that has occurred in evolutionary history. When we do see the introduction of evolutionary novelty, it usually shows up with a bang, and often with no firm evidence that the fossils did not evolve elsewhere! Evolution cannot forever be going on somewhere else. Yet that’s how the fossil record has struck many a forlorn paleontologist looking to learn something about evolution.” Niles Eldridge, Reinventing Darwin: The Great Debate at the High Table of Evolutionary Theory (New York: John Wiley & Sons, 1995), p. 95. This problem is so severe it has spawned an entirely new school of evolutionary thinking–punctuated equilibrium, championed by Harvard paleontologist Stephen J. Gould. It’s also spawned a bitter feud between Gould’s camp and traditional Darwinists like Richard Dawkins who still hold to gradualism in spite of the paucity of fossil evidence for it. We are within our rights to question the stability of the entire enterprise. But the minute we do, we run into a second problem. Science has two definitions. The first is the most well known. Science is about a methodology–observation, experimentation, testing, etc.–that allows researchers to discover the facts about the world. Presumably, this is what evolution is about–the facts of science. Science in this sense has prompted the litany of concerns expressed above by evolutionists. The second definition of science involves the philosophy of naturalistic materialism: matter and energy governed by natural law. Any view that doesn’t conform to this definition is not scientific. Creationists claim, however, that these forces are knowable, at least in principle. Consider this analogy. When a dead body is discovered, an impartial investigation of the scene might indicate foul play and not accident. In the same way, evidence could, in principle, indicate an agent in creation rather than chance. This is not faith vs. evidence, but evidence vs. evidence. Here Richard Lewontin, distinguished Harvard Genetics Professor, admits that the apparatus of science is not geared to pursue the truth wherever it may lead, but rather to produce philosophically acceptable answers. Once one presumes evolution, many of the pieces seem to fit. If you simply presume someone associated with a crime is guilty, you’re bound to find some pieces of evidence that appear incriminating. But if your suspect produces an airtight alibi, you must rework your presumptions. In the same way, Darwinism has fatal flaws, in spite of some circumstantial evidence for common ancestry. The mechanism (natural selection) is not adequate to do the work it needs to do. Behe and others have made this clear. The gradualist pathways from one transition to another cannot be reconstructed, as Gould has pointed out. Robert Shapiro of NYU admits there is no current evidence that life could come from non-life. Paleontologists can compare fossils all they want, but if evolutionary processes cannot even produce the most basic amino acid sequences necessary for life, then the game can’t even get started. To label creationist efforts as “religious zealots conducting stealth campaigns,” as one editorial did, skirts the issue entirely. It is easier to dismiss any objections to evolution as flat-earth religion than to intelligently and fairly engage the facts in public discourse. The view that “religious” theories should not intrude in science is guilty of a several of logical errors. First, it commits the either/or fallacy by asserting that a view is either scientific or religious. Design models might have some factual support. We see the blending, for example, in near-death experience (NDE) research, or conclusions about the existence of a Creator based on Big Bang cosmology. Second, it commits the straw-man fallacy by assuming that creationists make no use of scientific methods. This is not the case. Creationists are happy to present an abundance of scientific evidence for their view, if they’re allowed. This evidence needs to be addressed instead of disqualified. Third, it assumes that the reigning scientific views do not have religious significance. This is false. All cosmological views have metaphysical significance. If evolutionary naturalism is true, the only place for God is in the imagination of the faithful. I want to recommend a book that gets right to the heart of this issue in a clear and accessible way. It’s called An Easy-to-Understand Guide for Defeating Darwinism by Opening Minds by Phillip Johnson. You’ll get first-rate advice on how to be a player in this discussion without getting bogged down in unnecessary details. You don’t need a technical background, just a simple game plan. It’s an easy read and a powerful tool that will help you expose the real issue in this debate. The evolution/creation controversy is not about evidence. It’s about the power of an academic elite to enforce a philosophy. This fact is becoming increasingly obvious to the public. Once this becomes clear, then evolution will have to stand on its own merits and it won’t be able to do so. Evolutionists are dancing on the Titanic. If it were not for philosophical strong-arming in the field of science, Darwinism would have become an historical curiosity long ago. It’s only a matter of time before the iceberg hits.